For any parent, the search for the right pediatric provider can be a daunting task. Our entire pediatric team is dedicated to helping you and your child feel at home from the moment your walk through the door. All of our pediatricians and medical staff are highly trained professionals, and maintain the highest level of accreditation in pediatrics to address the special needs of infants, children and teens. 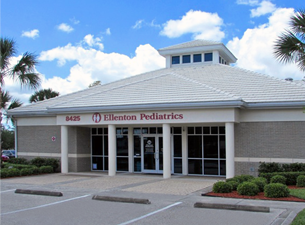 Dr. Cristian Chiritescu founded Ellenton Pediatrics in 2008. He completed his Pediatric Residency Training at Bronx-Lebanon Hospital Center, a primary affiliate of the Albert Einstein College of Medicine in Bronx, New York in 2001. Dr. Chiritescu is Board Certified by The American Board of Pediatrics, and is a fellow of the American Academy of Pediatrics. Before opening his own practice in Florida, he was a partner physician in Yakima Pediatrics Associates, a primary care pediatric practice in Washington State. During that time Dr. Chiritescu was appointed Clinical Instructor of Pediatrics at the University of Washington School of Medicine. 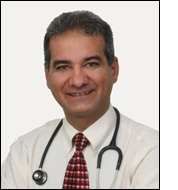 Dr. Chiritescu has privileges at Lakewood Ranch Medical Center. He is fluent in English, Spanish and Romanian. He is genuinely dedicated to providing outstanding care to children and adolescents from birth to 18 years of age. Having first met in medical school, he and his wife, Dr. Alina Chiritescu have been happily married for over 20 years, and together have two sons. He enjoys spending time with his family, traveling, and relaxing at the beach with a good historic novel. Dr. Alina Chiritescu completed her pediatric residency training in 2000, and then served as chief-resident in the same program at Bronx-Lebanon Hospital Center, a primary affiliate of the Albert Einstein College of Medicine, in Bronx, New York. 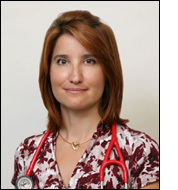 She is Board Certified by the American Board of Pediatrics, and is a fellow of the American Academy of Pediatrics. She practiced for seven years in Washington State, at Yakima Neighborhood Health Services. In 2006 she was appointed Clinical Instructor of Family Medicine at the University of Washington School of Medicine and recognized as Active Teacher by the American Academy of Family Physicians. 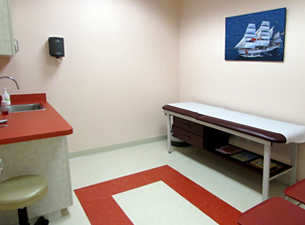 After relocating to Florida in 2008 and initially working with another pediatric office, “Dr. Alina”, as our patients best know her, joined her husband’s practice in 2012. Dr. Alina has privileges at Lakewood Ranch Medical Center and is committed to outstanding, compassionate and wholehearted medical care for children and adolescents from birth to 18 years. She is fluent in English, Spanish and Romanian. She treasures her time with her family and enjoys photography, travel, and cheering at her kids’ competitions. 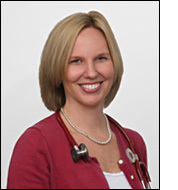 Born and raised in South Florida, Jessica is a Board Certified Pediatric Nurse Practitioner. She graduated from the University of Florida's College of Nursing with a master's degree. 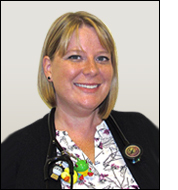 She joined Ellenton Pediatrics in 2011. She takes care of children with a broad range of complex medical issues and enjoys caring for children of all ages. Jessica and her husband welcomed a baby girl in spring 2015. Becoming a mom herself has made her cherish even more the career path she has chosen. Jess joined Ellenton Pediatrics in 2016 with over 15 years of nursing experience in pediatrics and labor and delivery. A Board Certified Pediatric Nurse Practitioner, Jess received both her bachelor’s and master’s degrees from the University of Florida. Building relationships with families, watching children grow and flourish, and promoting lifelong health are what she loves most about pediatric primary care. She resides in Bradenton with her husband, two beautiful daughters, and a big floppy Great Dane. What does the FAAP mean? The FAAP designation after a pediatrician's name stands for Fellow of the American Academy of Pediatrics. Pediatricians who maintain their FAAP designation have obtained board certification in pediatrics and made an ongoing commitment to lifelong learning and advocacy for children. For more information, visit the American Academy of Pediatrics. Board Certification is a process where a special independent organization provides credentials to a provider, signifying a high level of professional competency. Certifications are usually time-limited, meaning that the medical professional will have to re-certify after a given time period. The recertification usually involves comprehensive testing, among other things, and demonstrates their commitment to professionalism, lifelong learning and self-evaluation. For more information, visit The American Board of Pediatrics. Nurse Practitioners (NPs) are advanced practice nurses who provide high-quality healthcare services similar to those of a physician. NPs can also diagnose and treat a wide range of health problems. After receiving their bachelor's degree in nursing and most typically working to advance their clinical skills, they go on to get their master's degree in nursing. This is where they further their education and clinical training beyond their registered nurse preparation. They then are eligible for state licensure and board certification in their respective area of interest and study, much like a physician. Please have your pharmacy call, fax, or send an electronic request to Ellenton Pediatrics for medication refills. Our primary concern is your child’s safety. This involves reviewing your child’s chart and checking with the provider before a prescription can be refilled. Please give us at least 48 hours advance notice of your refill needs. Medication refills for ADHD, asthma, and other chronic conditions may require a repeat visit with one of our pediatric providers. © 2019 Ellenton Pediatrics. All rights reserved. (1/19) Website designed by Bell Graphics, Inc.